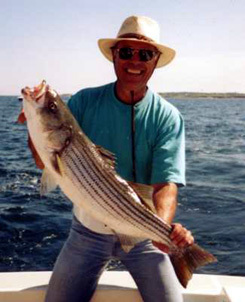 Come fishing with Captain John on Marlin II. 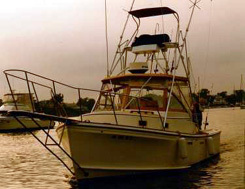 Enjoy affordable, friendly, safe fishing aboard the Marlin II, sailing out of Pt. 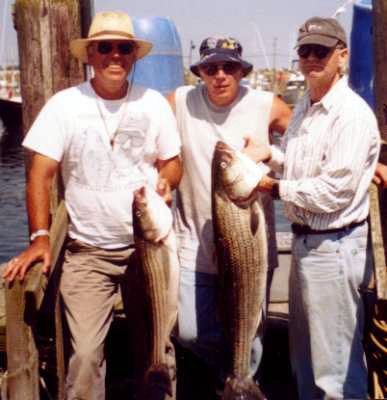 Judith, RI., the nearest port to the best fishing grounds Rhode Island has to offer! 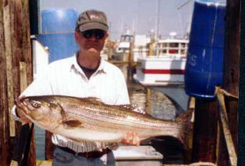 Captain John has been fishing these waters for over 40 years, and is a seasoned U.S. Coast Guard licensed Captain. The Marlin II is a 28 foot custom-built Cape Dory and is diesel powered. She is equipped with the latest marine accessories, electronics, fishing and safety gear. Rates include bait, tackle and chum. Loss of terminal tackle such as rod and reel overboard will be the responsibility of the angler, who will be charged accordingly. All deposits must be received within 10 days from the day you book your trip. Tips to the Mate are customary for assisting you during and after the Charter. This includes cleaning of your catch (filleting, removing skin, etc). The Captain will make cancellations due to weather at the dock. We will reschedule a new date for you or give you a credit toward a future trip. Any other cancellations will forfeit their deposit. and last, but not least, HAVE A GREAT TIME!!! Ad Page copyright 2009 by Cynthia Depina Web Design Studio.